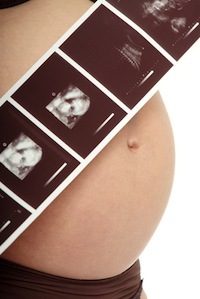 Once most women find out that they are expecting, they can’t wait to hear the baby’s heartbeat and/or see their baby on the screen during an ultrasound. While ultrasound and Doppler fetal ultrasound heartbeat monitors are used by healthcare professionals throughout pregnancy, could the non-medical use of these devices be doing harm? While the answer is not 100% clear, the FDA strongly discourages the use of these methods in a non-medical setting for creating keepsake images, as the long term effects are unknown. "Although there is a lack of evidence of any harm due to ultrasound imaging and heartbeat monitors, prudent use of these devices by trained health care providers is important," states FDA biomedical engineer, Shahram Vaezy, Ph.D. Vaezy goes on to say that "ultrasound can heat tissues slightly, and in some cases, it can also produce very small bubbles (cavitation) in some tissues." Before choosing a novelty ultrasound or purchasing an over-the-counter heartbeat monitor, discuss the risks and benefits with your healthcare provider. FDA Accessed February 19, 2015.